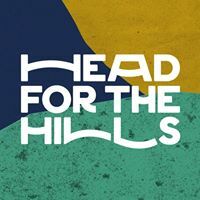 Day 1 of Head For The Hills (aka Ramsbottom Festival) has snuck up on us to signal the end of the festival season. Our traditional three-day jaunt up to the cricket ground started with a mix of new and emerging bands across the festival's four stages. We caught up with James Holt, False Advertising, New York Tourists, Cassia, Saytr Play, Larkins, Clay, No Hot Ashes and Kashmere. Opening up the festival and having to contend with some horrible bleed from soundcheck on the main stage is James Holt. Starting at doors also means he's not got the audience his thoughtful set deserves. It includes a brilliant cover of Albert Hammond's It Never Rains In Southern California, but it's his own material that really stands out. New songs like Snuff To The Candle Flame and Burning Moon, described as being about loving someone who doesn't deserve it, show a songwriter growing into his craft and developing into a real contender, whilst his most recent single Whatever Happened To John? is a great conclusion to a half hour set that merited a place higher up the bill and a bigger audience. We head back to the pavilion to a stage we'll spend most of the day such is the impressive line-up that's been gathered there. False Advertising have the crowd enthralled by their no-holds barred sound, including their new single Hey You, the best song of their career so far in our opinion, from their forthcoming superbly titled I Would Be So Much Happier If I Just Stopped Caring EP and Give It Your Worst. With Jen and Chris swapping and changing guitar, drumming and lead vocal roles throughout they keep the audience on their toes with a set that's full of energy, passion and superbly agitated three minute songs that should have them climbing festival bills next summer. It's over a year since we last saw New York Tourists and they've pulled the biggest crowd in the pavilion of the day for their set and also the most animated and involved for their eight song set and it's no surprise why. From their opening track Skinny Dipping through to their final anthemic calling card Only For The Summer, they possess the sort of big anthemic songs that will seem familiar to you even if you've not heard them before, but without diluting their own personality which they stamp across them. There's big riffs, there's sections in a couple where they get us to join in, and in front man Gary, they've got a leader with a voice that's made for bigger stages than this. It's the best set we see all day. We make our way out to the main stage for the highly tipped "tropi-pop" of Cassia. They're hampered by the rain which emphasises the point that, despite Radio 1 airplay, they're not main stage festival material yet. Their songs are based on fragile rhythms and melodies, which are not really our bag, on songs like recent single Sink, that just get lost on the big stage and make us think they'd have been much better serving their apprenticeship on one of the smaller tents to people who want to hear them rather than being watched by the sort of crowd that stays at the main stage whatever. We head back into the pavilion for Saytr Play, always good entertainment value even if you're not a fan of their songs. We are of course, although we still wince at the ridiculous comparison of their brilliant debut single Mother's Love with early James, as they inject a bit of crowd participation into proceedings as Fred ends up shirtless amongst us. Whilst he's the strong front man that bands breaking through need to make them stand out, their songs also do that bidding for them, particularly Breathe It In and Rebound, and by the end of their set, they've got an initially sceptical audience eating out of the palms of their hands. It's back to the main stage for Larkins and their second on the bill slot is something of a triumph. Whilst they've sold out the likes of Gorilla, this is a big step up for them and they deliver a set that fully justifies their billing. They've hardened up their soft edges so that their songs project across the field, something that's absolutely crucial for a band on the up. The likes of Cassandra, Hit And Run and Wasted Years feel like a completely different proposition up there and Josh has blossomed into the role of confident and assured front man. However, what's most evident is how they've gelled as a band, they look and sound like a unit that's glued together and that comes across in the way they deliver a set that's certain to have won them a whole new raft of fans in the way The Slow Readers Club used this festival to the same effect two years ago. We then head to The Smaller Rooms stage for its headliner Clay, a band we think are overdue a major breakthrough and this set doesn't change our view on that. Led by Joe, a real effervescent jack-in-a-box presence whose enthusiasm simply makes you love them more, their set is tailor made for the hot and sweaty club venues across the country. They've honed a set of songs like Heaven, Stay Calm, Nothing Happened and Cream to the point where they have a really strong debut album in their back pocket already, whilst Sun Dance, one of their earliest singles, has evolved into a genuine festival anthem. Back in the pavilion No Hot Ashes are on a mission to get people dancing to their self-titled future psych-funk. They're making waves in Manchester, close to selling out Club Academy months in advance, and across the country at the moment and it's not hard to see why songs like Smooth (No Bits), Ez Peeler, Cigs and PG Tips are getting hundreds of excited kids bouncing around at their shows. The Ramsbottom crowd is a bit more reserved save for a few down the front, but that actually helps them to show how tight they've become in delivering these songs. Their cover of The Message doesn't quite hit the spot though, nor does their recent(ish) single Bellyaches which seems to be funk for funk's sake rather than a tune, and given most of this set is now over two years old, they desperately need to inject some new material, but they're very much a band on the rise. Our final band of the night are Kashmere also at the brilliant set up in the pavilion. They're a band that have changed our opinion of them in the last twelve months as they've made themselves stand out from the plethora of four piece gangs of lads in bands around town. They've got a huge armoury of big hard rock and roll anthems and they look the part when delivering them and front man Tom's voice is the perfect vehicle for delivering them, rasping at the moments the songs set themselves on fire and soothing when they go into the break down. Blow Your Mind, Sirens, Make Love, Hoxton and the set closing Porcelain all grab you by the throat instantly and shake you around until you submit to their battered bruised charms and it's no surprise that the now packed room demands an encore of their repeating Hoxton again. James Holt is on Facebook and Twitter. False Advertising's website can be found here. They are also on Facebook and Twitter. New York Tourists' official website can be found here and they are on Facebook and Twitter. Cassia's official website can be found here and they are on Facebook and Twitter. Larkins' official website can be found here and they are on Soundcloud, Facebook and Twitter. Clay's official site can be found here and they are on Facebook, Twitter and Soundcloud. No Hot Ashes' website can be found here and they are on Facebook and Twitter. Kashmere are on Facebook and Twitter.